With 59 percent of Christmas parties and dinners being planned at least three months ahead of the festive season, catering and hospitality businesses need to be ready to take bookings so they can truly capitalise on the festivities. We have recently launched our 36 page 2016 Christmas Collection brochure, available in either a printed or online format the brochure is designed to help our customers choose everything they need to spread festive cheer over the Christmas season. Tailored to suit all budgets and styles, our Christmas collection is crammed full of festive products to make your customer’s Christmas dining experience one to remember. This year the Christmas collection features 51 cracker designs in popular festive colours, luxurious blacks and purples and even a trendy Kraft eco collection. 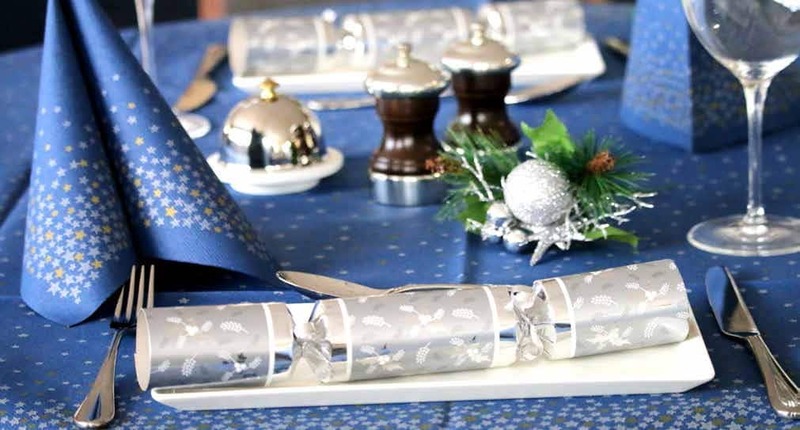 Our crackers are designed to work seamlessly with your chosen Christmas style, so many of them can be complimented with matching tableware. Back by popular demand are Bunzl Exclusive hot cups in four fantastic new designs. 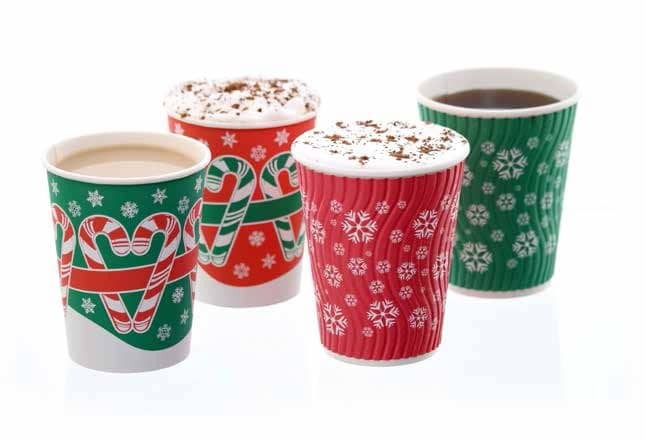 Made in the UK from PEFC Chain of Custody Certified Board, and available as two single wall and two double wall designs, our Christmas hot cups have been created in answer to the growing trend for seasonally themed disposables. As founding members of the Simply Cups paper cup recycling scheme, we can offer an exclusive membership discount to our customers. Take a look at our video to find out more about the Simply Cups scheme https://www.youtube.com/watch?v=6JmJirsVGlc. Don’t forget to deck the halls with our selection of Christmas decorations, which come in natural, traditional and contemporary options and our artificial Christmas trees bring the festive feel indoors without the need to clear up needles. Complete the look with our ranges of indoor and outdoor lights. 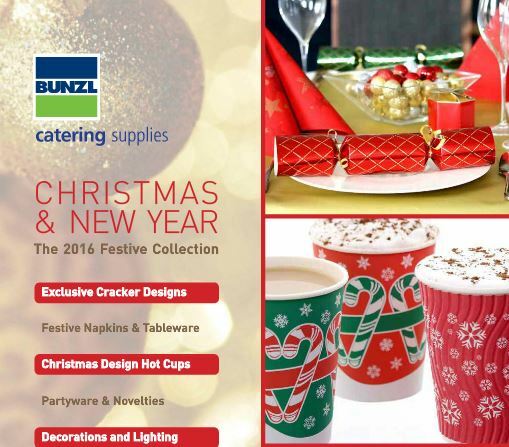 Take a look at our Christmas Collection 2016 here http://bunzlcatering.cld.bz/Christmas-Brochure-2016 and place an order today for delivery on a pre-agreed date anywhere in the UK.